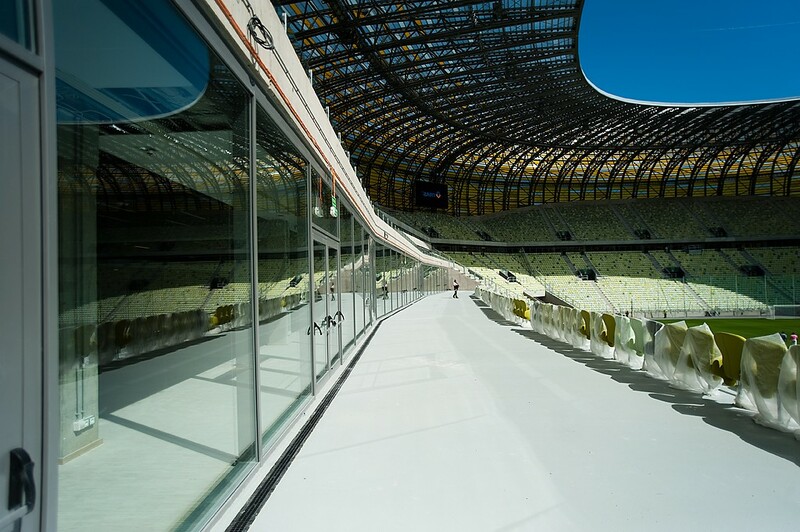 The project of the stadium was executed by the Rhode-Kellermann-Wawrowsky company from Dusseldorf, which has also built the famous stadium in Gelsenkirchen and in Hanover. In April 2008, works on the preparation of the ground for the construction of the stadium began and a few months later ground works were started. The official commencement of construction of the stadium was in May 2009. The works were to be finished at the end of 2010, but this deadline was not met due to various reasons. 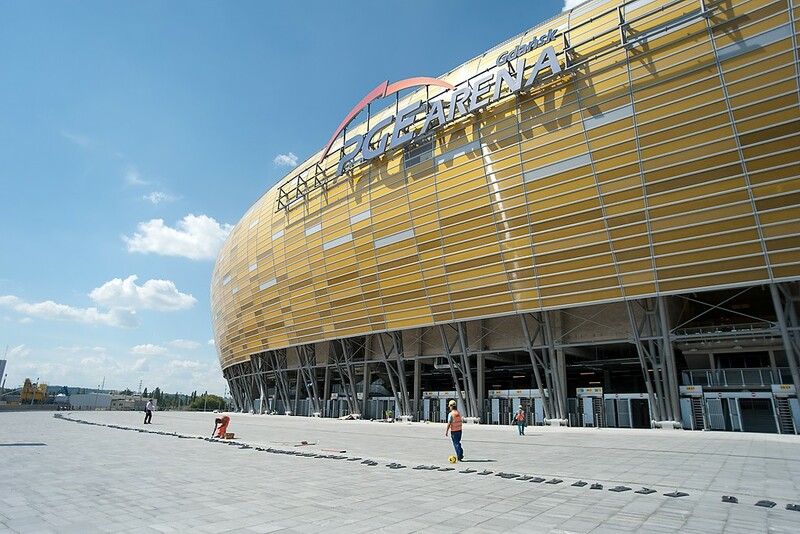 On 9 June 2011 PGE Arena was to be opened. 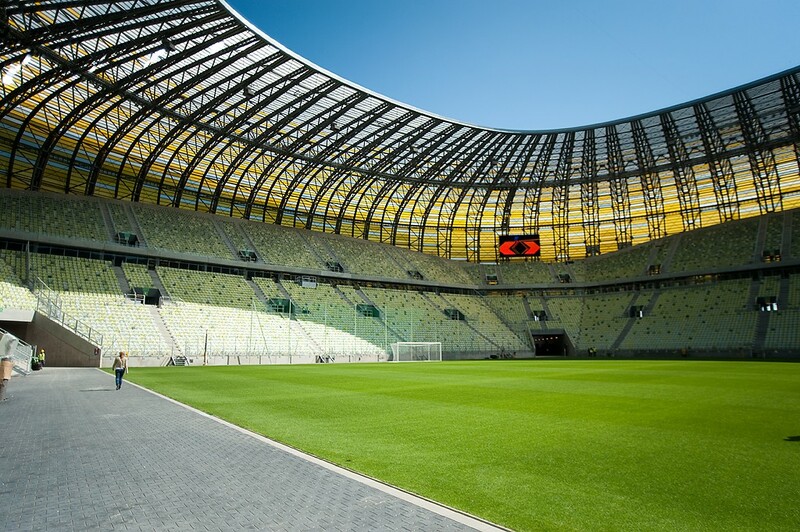 The most important point of the opening of the stadium was to be the match between Poland and France. Hectic works on preparation of the stadium lasted almost until the last minute. However, construction teams did not manage to meet the deadline and the police did not issue the permission for organizing a public event. The match between Poland and France took part in Warsaw due to safety reasons. 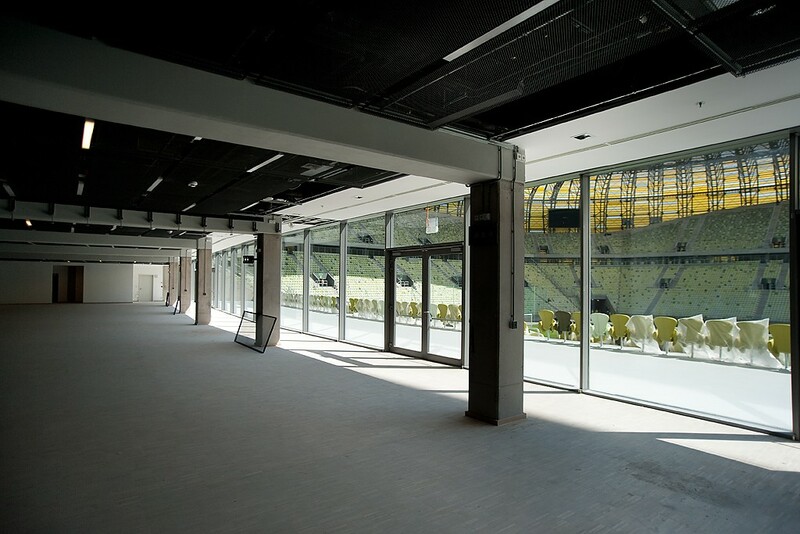 The stadium was opened on 10 July 2011. 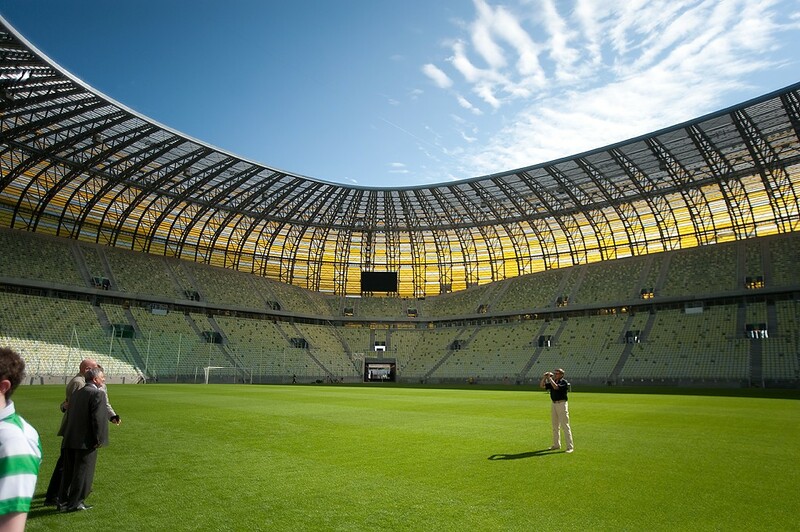 The first football match played on PGE Arena was the match between T-Mobile Football League Lechia Gdańsk – Cracovia (1-1). Fans managed to see the Polish national team in action. Players of Franciszek Smuda played a match at the stadium with the German team. There were almost 38000 spectators. Fans admired not only the beautiful stadium but also see Polish players in action. The match ended in a draw 2:2. 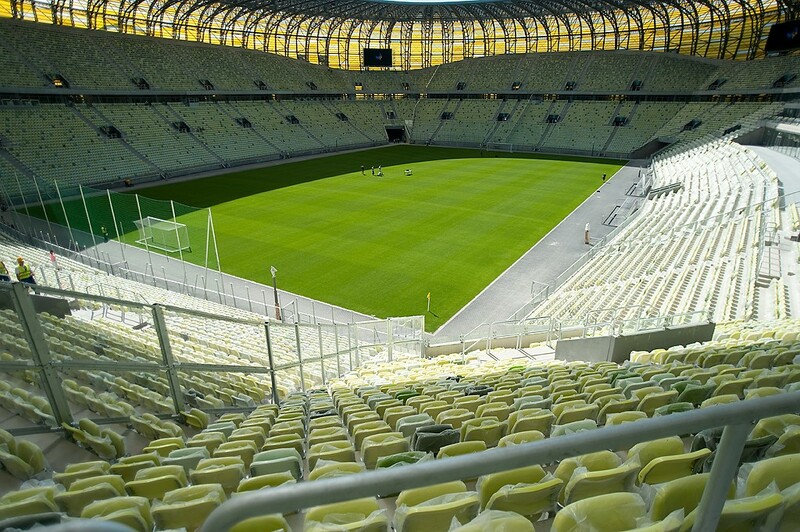 The stadium capacity is 42000 seats. The PGE Arena has 40 VIP boxes and more than 1300 business seats. 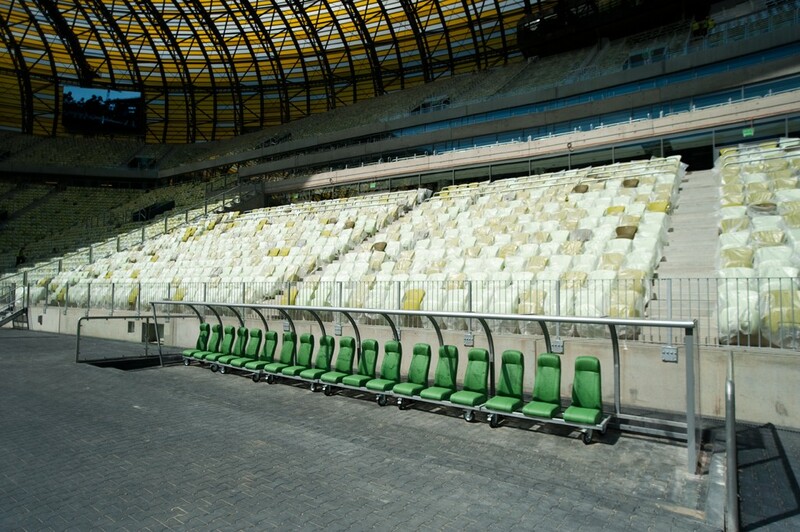 The title sponsor of the stadium is the Polish Energy Group and the 5-year contract was signed in May 2010. 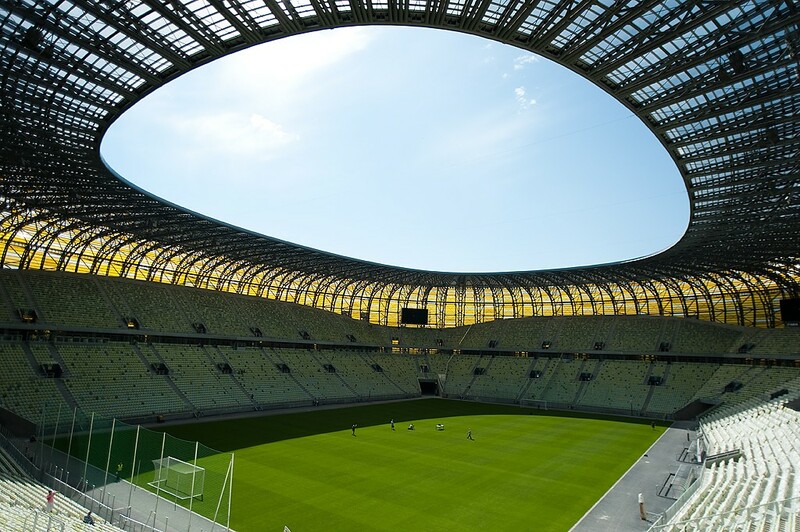 Baltic Areas Stadium is regarded to be the most attractive project of the stadium among all objects which were offered by Poland and Ukraine for Euro 2012 matches. Our shape- especially in graphic symbols for night – resembles amber. due to construction works trams number 4, 7 and 10 were suspended. It is possible to get there by the tram number 49. Spain – Italy (June 10, hour: 18:00 Polish time). Spain – Ireland (June 14, hour: 20:45 Polish time). Croatia – Spain (June 18, hour: 18:00 Polish time). Quarterfinal: 1B – 2A (June 22, hour: 20:45 Polish time). First match is comming soon (June 10th, Spain vs. Italy), so it’s time to find the best accommodation. I know an awesome camping just 1 kilometer away from this stadium! Prices are 15 euros per person, with breakfast included. 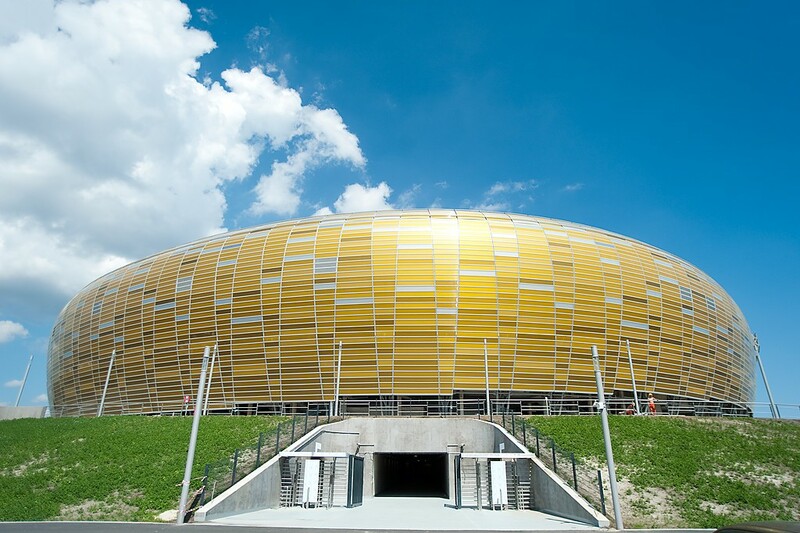 PGE Area’s exterior is designed to resemble amber which has long been extracted on the Baltic coast. The most beautiful stadium of euro 2012.